These pages contain information about the carriages owned and operated by the Commonwealth Railways (CR) . 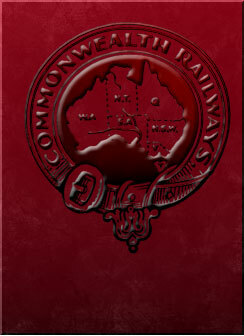 The CR was set up , by the Commonwealth of Australia, initially to operate the railway from Port Augusta to Kalgoorlie (Trans-Australian Railway), but eventually took over the operation of the line to Alice Springs (Central Australia Railway) and Darwin (North Australia Railway) lines as well. They were amalgamated with the South Australian Railways and Tasmanian Railways in 1975 to form Australian National. The passenger business of Australian National was sold to the Great Southern Railway consortium on 28.08.1997. A large number of the remaining passenger vehicles were sold as part of the passenger business.